Suspected Islamist gunmen have killed at least 27 students and a teacher in a boarding school in the Mamudo village in the northeast of Nigeria. Survivors are being treated for burns and gunshot wounds. Some of the school’s 1200 students fled into the nearby bush to escape the gunmen. Information is scarce at this stage, as Mamudo is in Yobe state, one of three covered by a state of emergency declared by President Goodluck Jonathan in May. This means that much of the phone coverage in the area has been cut. Reports suggest that the attackers arrived at the school at night, setting fire to teachers’ quarters and administrative buildings, before entering the sleeping quarters of the students. Students were alledgedly burned alive, and those that fled were shot. ‘There can be no justification for the deliberate targeting of children and those looking after them,’ West Africa director of UNICEF, Manuel Fontaine, said. 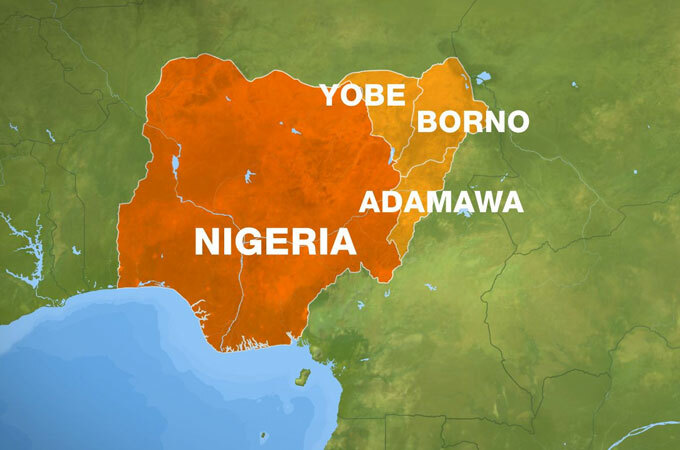 Yvonne Ndege, Al Jazeera correspondent reporting on the incident, says the attack bears the markings of the Boko Haram group who are known for attacking schools and are against western education. It is the third attack on schools in the region since May. Islamists from Boko Haram have been blamed for the deaths of about 1,600 people since 2010, according to a count by the news agency AP. This entry was posted in News and tagged children, in brief, massacre, nigeria, school, shooting, students. Bookmark the permalink.